Munich/Wiehl, 20 September 2018 – BPW Bergische Achsen KG is announcing its partnership with BMW i for an electric drive system for commercial vehicles at the IAA. 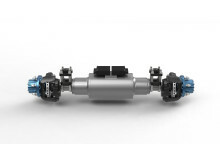 BPW will use battery technology from BMW i for its particularly powerful drive axle, which is designed for heavy vans and lorries with a gross weight of up to 7.5 tonnes. The drive will go into small series production in early 2019 for converting MB Varios used in municipal applications, for example. 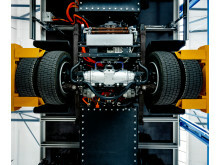 A drive concept for lorries with a gross weight of 26 tonnes is under development. E-mobility will be one of the top topics at the IAA Commerical Vehicles in Hanover (20–27 September) – the major challenge here is, above all else, the high usable loads the vehicles must possess. The BPW Group in Wiehl (North Rhine-Westphalia) is one of the world’s leading suppliers to the commercial vehicle industry; the company develops, produces and sells everything that moves, secures, illuminates and digitally connects transport vehicles. 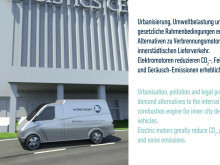 This is why, in the field of e-mobility, BPW Bergische Achsen KG has developed an electric axle that can power vehicles with a gross weight of up to 7.5 tonnes with a powerful 6,580 nanometres of torque at the rear axle, and can even be used to retrofit traditional vehicles. In this process, BPW couples two of the high-voltage lithium-ion systems used in the BMW i3 to produce a total capacity of 84 kilowatt-hours per vehicle. The battery management system including wiring, sensors as well as the heating and cooling system are supplied by BMW. Depending on the desired range, additional battery systems can be installed; BPW also offers various charging systems depending on the application and customer requirements. 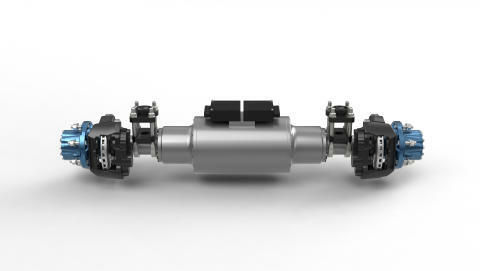 The BPW drive axle with BMW i battery technology will go into series production for the first time in early 2019, with Paul Nutzfahrzeuge, European market leader for special vehicles, using it as the basis for its conversion of heavy vans and light lorries from diesel to electric drives. Because heavy components such as the diesel engine, transmission, cardan shaft and exhaust-cleaning system can be completely removed, the vehicle does not become any heavier. This will particularly allow municipalities to continue using the expensive special vehicles used by their utility companies, police departments and fire brigades emission-free and cost-effectively for many years to come. But logistics companies can also benefit from electric vehicles’ constant usable load. 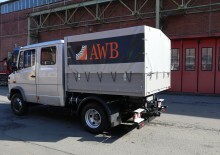 The electric commercial vehicle drive is being developed by a young team at BPW.